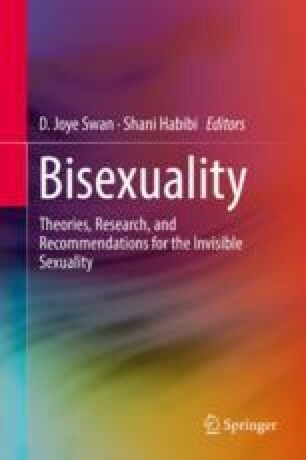 The present chapter considers the research literature that frames our understanding of bisexuality. By reviewing current models for conceptualizing sexuality we gain a better understanding of the framework from which individuals identify with bisexual and other plurisexual labels. Bisexuality is often rendered invisible as it is simultaneously defined against heterosexual, monosexual, and cisgender norms. Self-identification, then, can be seen as a way of socially marking and making bisexuality visible. Acknowledging that individuals often use multiple identity labels across social contexts, the present chapter considers the way different plurisexual labels (bisexual, pansexual, queer, and fluid) are used to highlight specific aspects of bisexual desire. This research was funded by a grant from the American Institute of Bisexuality.